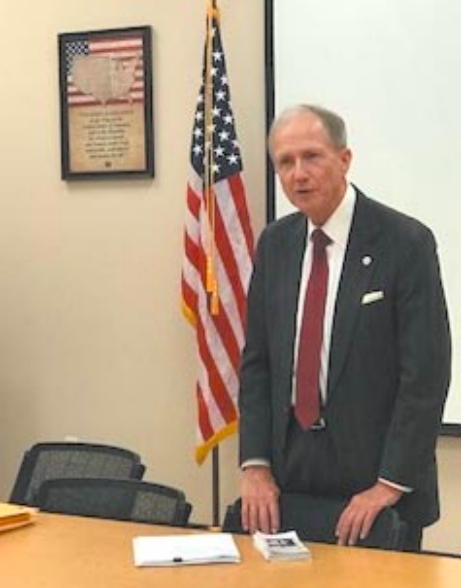 Harris County Attorney Vince Ryan speaks at Castlewood Civic Club meeting which took place at East Aldine District offices on June 26. ALDINE – Civic Clubs from the Aldine area met last Tuesday evening, June 26th at the offices of the East Aldine District. Speaking to the clubs was Harris County Attorney Vince Ryan, who introduced services that his office provides to the citizens of Harris County. Ryan said that in addition to services he provided, his office also has a speaker’s bureau, available to any club or organization to speak on a variety of topics. Castlewood Civic Club organized the meeting, and invited civic clubs from Green Forest, Eastex Freeway Forest, Fairgreen 1, 2, 3, & 4, Parkwood Estates, and High Meadows subdivisions. Many of these groups were represented by members who came to the meeting, as well as the general public. The audience not only wanted to hear about services from the county attorney, but also wanted to discuss recent flooding, and the $2.5 billion bond issues that will be before voters on August 25. The audience also wanted to discuss deed restrictions, auto repair shops in residential areas, bandit signs, nuisance and noise abatement, and flooded home buyouts. Ryan said his office represents Harris County, its departments, elected and appointed officials, and employees in virtually all civil matters that involve county business. 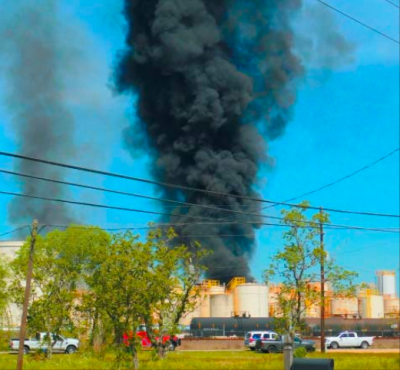 He said that his office also works to protect the people of Harris County from unscrupulous businesses, environmental polluters and unwanted sexually oriented businesses. Attorneys from his office are involved in enforcement of deed restrictions, and removal of nuisances. Topics for his speakers bureau include crime victim compensation, mental health care, deed restriction enforcement, public nuisances and other topics. By presenting this information at community centers and civic clubs, his office can explain to the public how to utilize the services that governmental entities offer. Other areas of service that he mentioned are the defense of free speech, elder law and the avoidance of exploitation of the elderly, Houston Volunteer Lawyers, an extensive Law Library open to the public, prosecution of animal cruelty cases, guardianship for the elderly or disabled, open carry of guns information, civil injunctions against nuisances and gangs.